Welcome to Miami! 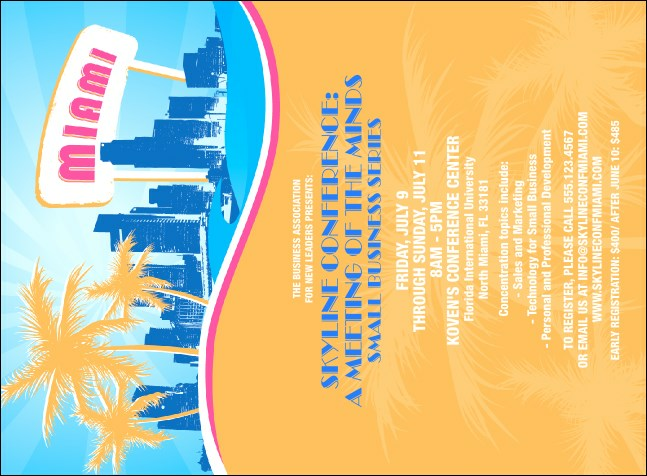 Feel the tropical air through this invitation, part of the Miami Event Kit. Full color and custom designed. Fill in the template below to get started! Stay longer at the beach! Let TicketPrinting.com delivery your order right to your doorstep.